The Top 10 Secrets of Running a Successful Business #Infographic ~ Visualistan '+g+"
Running your own business is a no easy accomplishment. With a lot of moving parts that you need to keep in check, it can be quite challenging and daunting to operate. But when done right, venturing into your own business can be one of the most rewarding decisions you’ll ever make in your life. If you’re planning, yet still afraid to take the challenge of entrepreneurship, then worry not because we’re here to help you out. 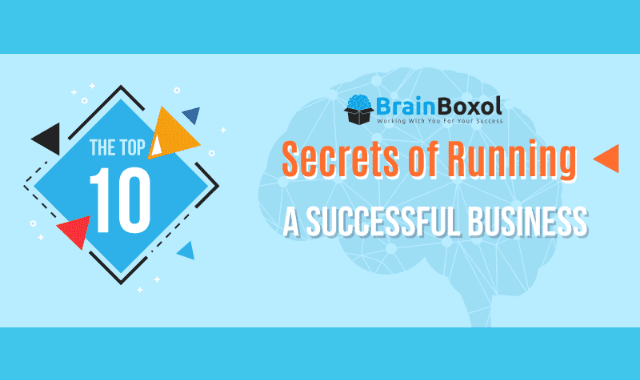 Here are top 10 secrets you need to know to run a successful and profitable business.